The ability to create a remote connection is the most important difference between PowerShell v 1.0 and 2.0. However, setting up remoting for the first time, is one of the most difficult tasks in PowerShell, especially in non-domain environments. But no worries, I will lead through the steps and anticipate some of the potential problems with WinRm and TrustedHosts. PowerShell 1.0 is easier to learn than v 2.0, largely because there are few cmdlets and certainly no ability to create a remote session. However, for those who mastered the basics of v 1.0, this inability to run scripts against another machine soon becomes a severe limitation. Furthermore, once you have a working knowledge of PowerShell, then setting up remoting is not so hard after all. It’s almost as though PowerShell 2.0 has this built in hurdle, you won’t be able to use remoting until your good enough to find, and then control, the TrustedHosts configuration. In many ways my remote PowerShell tutorial reminds me of learning Telnet. Sitting at our own keyboard, yet running the wonderful PowerShell commands against another machine transforms what we can achieve in terms of configuring settings and collecting data about your network empire. 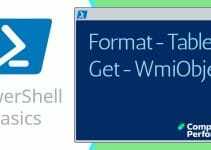 The crucial component for this mission to get remote PowerShell working is WinRm. If you have used a command line program such as NetSh then the techniques for configuring WinRm will be vaguely familiar. I have divided this Remote PowerShell tutorial into four sections, this breakdown is particularly handy for troubleshooting. The problem in explaining how to install WinRm is that each operating system has a different requirement. Windows 7 and Server 2008 R2 already have WinRm, so there is no need worry about installing this service. However, for Vista, XP and Windows Server 2008 you need to download the files from Microsoft and install WinRm. Any doubts on what your machine already has installed either check the Services mmc, or better still use PowerShell and try: Get-Service winrm. Starts the WinRM service and sets the startup type to Automatic. Enables a firewall exception for WS-Management communications. 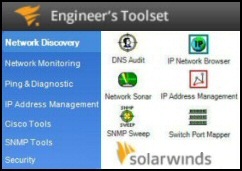 Creates a listener to accept requests on any IP address. First let us digress and check for PowerShell ‘providers’. The point of the other command is to show the existence of the WSMan namespace which maps to WinRm. Next we can check its config settings in general and TrustedHosts in particular. Note 1: Beware, plain ‘cd wsman’ fails, we need that colon. Note 2: You can usually omit the line ‘cd localhost\client’. The concept is straightforward; on the ‘Victim’ machine, the one you are connecting to, you must specify which servers are allowed to connect, these are known as the trusted hosts. Thus if you are on a server called ‘BigServe’, before you can remote to ‘LittleComputer’ you must set TrustedHosts on LittleComputer. Important: this script will not work unless you are in the localhost\client folder of the WSMan namespace, see above instruction. This method comes into its own in non-domain situation. If you have an Active Directory domain then you can configure TrustedHosts via Group Policy. Note 5: Here is a rare plural – TrustedHosts. All the PowerShell cmdlets are singular, but TrustedHosts is plural. Note 7: Once the euphoria of success wears off you may want to limit * and substitute the names of servers on your network. Note 9: Enter-PSSession requires a fully.quallified.domain.name, for example, BigServer.domain.local Plain BigServer would NOT work, however the IP address is always good in this situation. New-PSSession -computername KingMachine. Weird – yes, illogical – maybe, but this technique will give you a taste of PowerShell remoting. Where Next With PowerShell Remoting v 2.0? As my mission in this remoting tutorial is solely to get you started, now it’s up to you to devise PowerShell commands to interrogate and even configure your remote computer. Tip: If any of your remote commands don’t seem to work, test them on your local computer first. Once remoting is working then there is no barrier to employing PowerShell to manage network computers, you can now run scripts against other machines. Many cmdlets support the -computerName parameter, but remoting also enables you to use the PSSession family of cmdlets and also invoke-Command. Connecting to remote server failed with the following error message : Access is denied. Solution append -Credential OtherMachine\AdminBod. Remember Credential is singular, and remember the password for your user when prompted. Wacky Solution: Try the old trick of using an IP address rather than the hostname name. See how to disable Windows 8 firewalls with a Group Policy. For the full list you need to add: -And $_.parameters.keys -NotContains "Session". The secret of getting PowerShell remoting to work, is to understand the pre-requisites. Install WinRm, run the Enable-PSRemoting to setup remoting, check the TrustedHosts*. As for the actual Enter-PSSession, remember to specify the fully qualified hostname, else use the IPAddress.